Looking for a short, fun, moving Chick Fic? 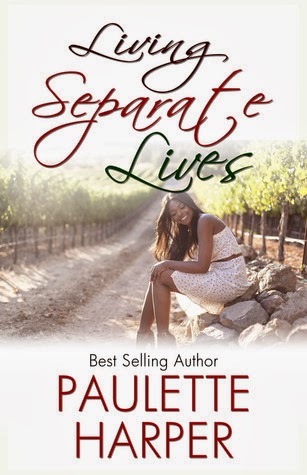 Keep an eye out for Paulette Harper's new novella, Living Separate Lives. Today I get the chance to release the cover to you, but I hope you wait in anticipation until November 5 when the book is released…it sounds like a good read! Candace Walker, Kaylan Smith, Jordan Tate and Tiffany Thomas have their share of sorrows but neither of them realizes how deep the sorrow goes. What happens when they agree to meet for a weekend of relaxation in beautiful Napa County, after years of separation? For Candace Walker life has left her battered and bruised. Kaylan Smith has struggled with prejudice from her in-laws. Bitterness is trying to raise its ugly head, after fifteen years of marriage, Jordan Tate’s husband calls it quits. And for Tiffany Thomas dealing with rejection has never been one of her greatest qualities. How can the lives of these friends be restored after a secret is revealed? Who will leave hurt? Who will leave whole? 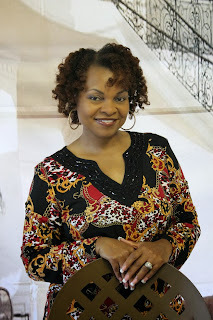 Paulette Harper is an award-winning and best-selling author. 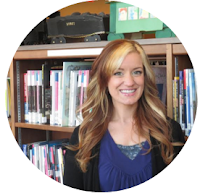 She is the owner of Write Now Literary Virtual Book Tours and is passionate about helping authors succeed in publishing and marketing their books. Paulette has been writing and publishing books since 2008. Paulette is the author of That Was Then, This is Now, Completely Whole and The Sanctuary. Her articles have appeared on-line and in print.